Tributes have been paid to the eight crew lost when an oil rig support ship capsized off Shetland a week ago. The funeral of the Bourbon Dolphin's captain and a memorial service for his 14-year-old son, who is still missing, will be held on Friday in Norway. On Thursday lunchtime, staff from Bourbon Offshore Norway observed a two minute silence in all its offices. 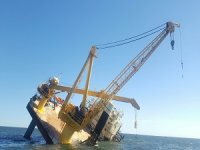 An accident inquiry into how the anchor handling vessel turned over has been postponed until next Wednesday. The Bourbon flag is being flown at half mast on all its ships around the world for the day as a mark of respect. Seven crew survived the accident. Three bodies were recovered from the sea, while the other five are still missing. The inquiry had been due to begin in Alesund, Norway, on Friday. However, this would have clashed with the funeral of the ship's captain Oddne Arve Remøy, 44, and the memorial service for his son David Remøy, 14, on their home island of Heroy. A statement on the Bourbon website said a ceremony in memory of the victims would be held at a later date in Norway. 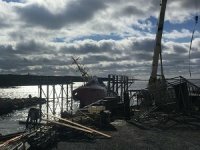 It said: "The Norwegian Maritime Directory's inquiry to be held in the aftermath of the accident will begin its hearings shortly. "It should enable us to understand how the accident happened. "An independent Special Governmental Commission will also be set up by the Norwegian Government with the objective of determining the causes of the accident." The Bourbon Dolphin sank on Sunday, three days after it capsized 85 miles west of the Shetland coast. It is thought the bodies of the missing five crew members may still be inside. It is not expected that the ship will be raised from the seabed. However, the Norwegian Government has been asked if it could help cover the costs to make that possible. The other crew members confirmed dead are chief officer Bjarte Grimstad, 37, and 31-year-old second officer Kjetil Rune Våge. 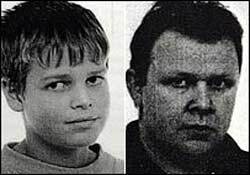 The others missing are chief engineer Frank Nygård, 42, second engineer Ronny Emblem, 25, electrician Søren Kroer, 27, and 54-year-old bosun Tor Karl Sandø. Liftboat Taking on Water in US GulfFifteen people have been rescued from a liftboat that lost power and is listing and taking in water in the U.S. Gulf of Mexico. 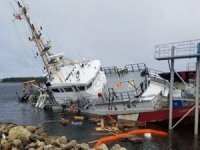 Foul Play Suspected in Canadian Coast Guard Shipyard IncidentThe Canadian Coast Guard ship Corporal McLaren is partially submerged, with police considering the incident suspicious. 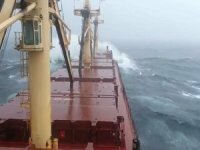 Bulker's Crew Managed to Halt Flooding During Severe StormOn Thursday, the 180,000 dwt bulker Centennial Harmony ran into trouble in an extreme storm off the coast of St. John's, Newfoundland, but her crew managed to bring the emergency under control. 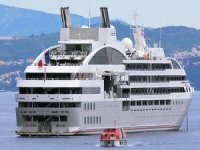 LE SOLEAL's Trip Cancelled due to Trouble in PatagoniaThe ship didn’t call Natales prior to accident, according to itinerary she was to explore fjords. 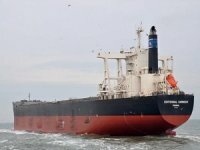 Bulk Carrier in Distress Off NewfoundlandThe Canadian Coast Guard responded to a vessel in distress off the coast of Newfoundland and Labrador on Thursday following a report that it was taking on water and losing power.